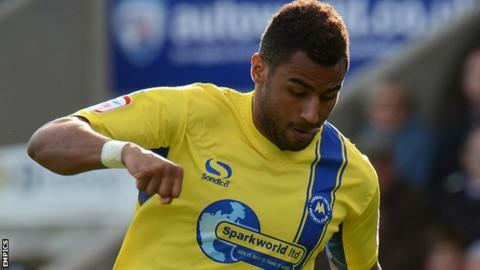 Torquay assistant manager Shaun Taylor has not ruled out the club going into the loan market to cover striker Rene Howe's suspension. "It was inevitable that he was going to get that 10th booking, it was just when he was going to get it," Taylor told BBC Radio Devon. "We'll have a look and see what we'll do about it," Taylor added. since his release by Wycombe, while Ryan Jarvis has led the line when Howe has been unavailable this season. Howe has scored 14 goals this season, 10 more than the next highest-scoring member of the team.